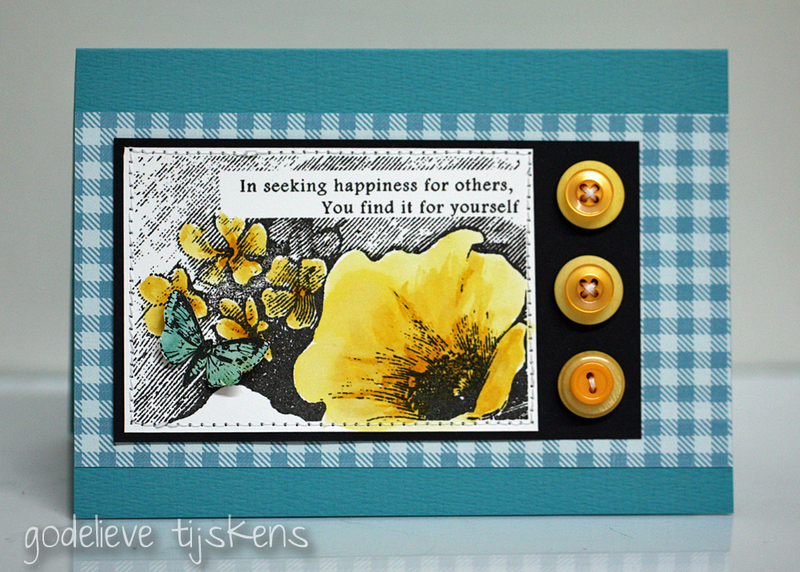 Hi, my name is Godelieve Tijskens, also known as Stampingmathilda, living in Belgium. 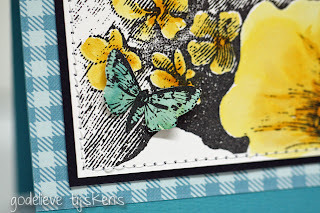 I'm happy to be asked as guest designer for January here on eclectic Paperie. Thanks Kim! 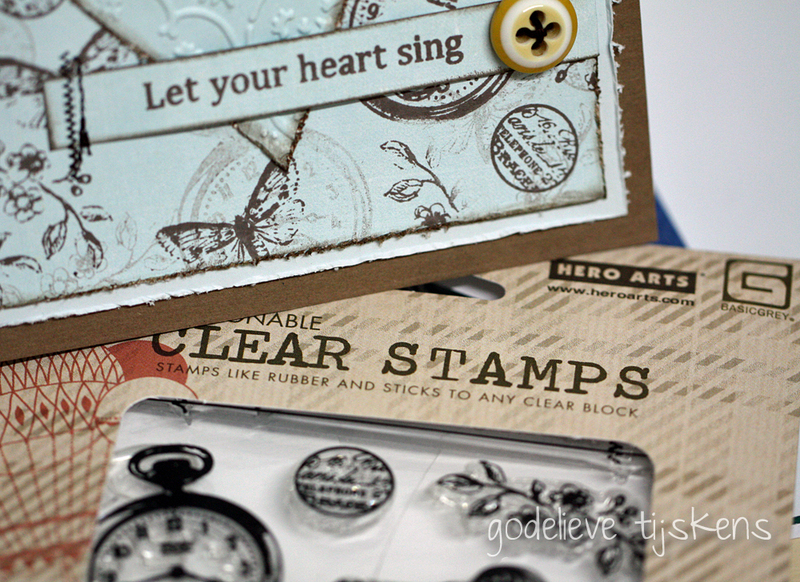 Today I made two cards, using Hero Arts stamps and Echo Park papers from the package Kim has sent me. 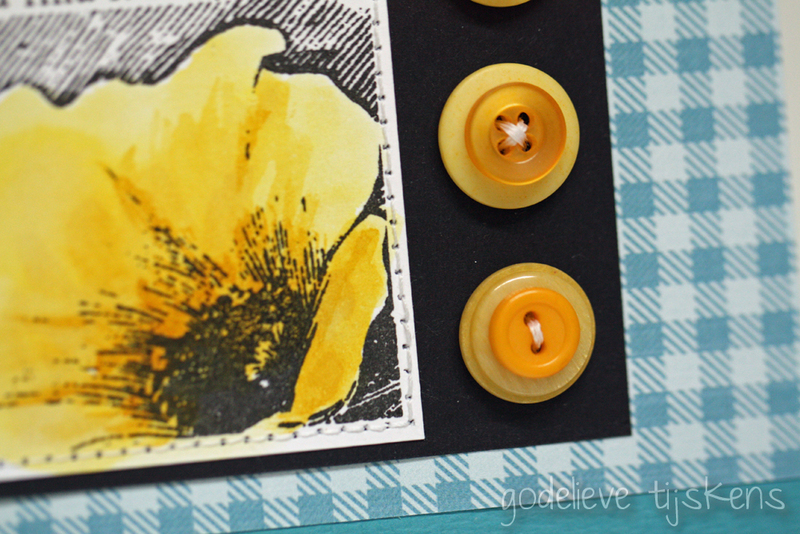 The first card was stamped with Brilliance Ink #Graphite Black and colored with Distress Ink and a damp brush. I stitched around the image and added layered buttons. 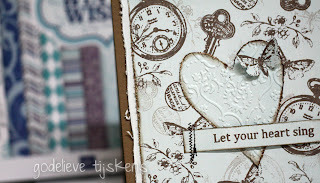 Gingham paper is from the Winter Wishes paper pad by Echo Park. 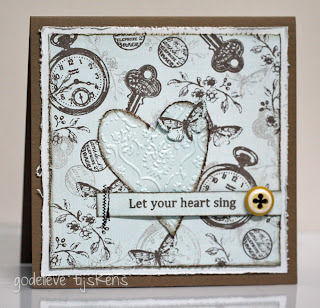 For my second card I used the small stamps from the Pocket Watch set to stamp a collage background with Memento ink on another sheet from the paper pad. 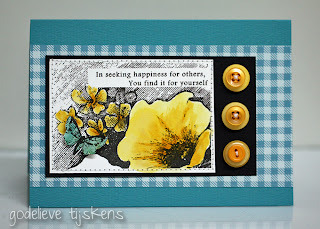 I stamped the sentiment on a strip of the same paper, machine stitched it onto the background. I added a Basic Grey button to the other end of the strip. I also cut a heart. I distressed the edges and embossed the heart using one of my good old embossingfolders. 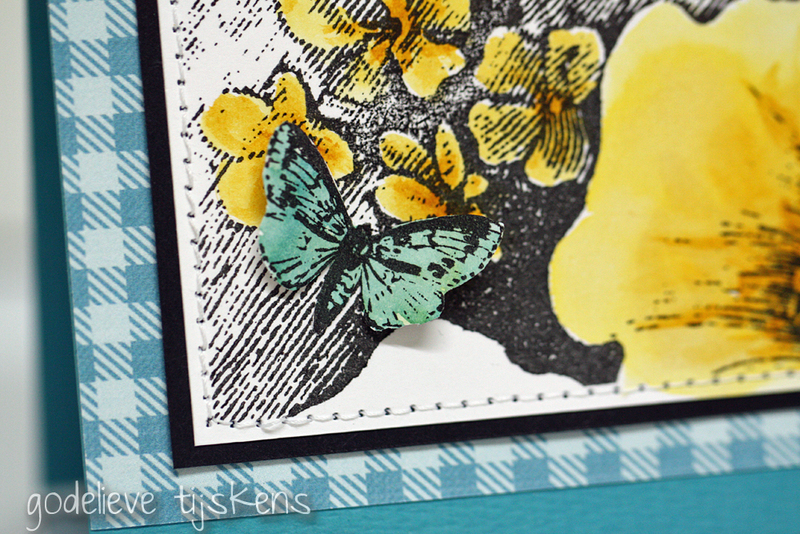 I stamped another butterfly from the set, cut it out and glued it onto the embossed heart. 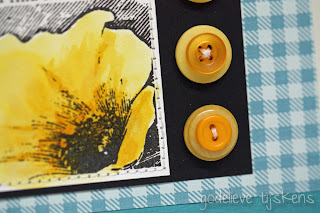 Your two cards today are really lovely, I love your compilation and the colour combinations, also the stitching really pulls the projects together. Truly beautiful. I really love the card with the heart. The background you created is great. You have inspire me. Thanks for sharing. Congrats on your Guest Design Team spot with eP & Kim. Fabulous card, Godelieve! I'm so thrilled you're joining us this month! Beuatiful cards to start with Godelieve. You did some fabulous stamping on the second one, wow! So happy to have you with us this month Godelieve! Beautiful cards!! 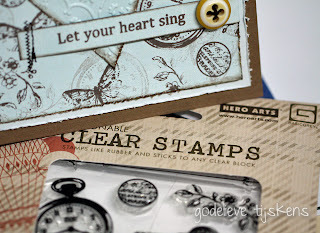 Two great cards... but particularly that second one captured my heart - adorable embossed heart, ad wonderful use of those stamps - now I need to add them to my wishlist! !